DApps that pay is a series of articles that explores blockchain-enabled applications that pay dividends to their token holders. Contrary to the claims of mass media, blockchain-enabled businesses do make money. Details on Free STEEM at end! Decentralized applications had over 220,000 users in the past 24 hours and that shows that there's a booming opportunity in this market. Some dApp tokens, due to lack of awareness of their existence, are offering incredibly high ROIs compared to their price. This piece is on BetHash, which as per EOSpayout.com, is number 2 on the list with a shocking 161% ROI at current dividends. Interestingly, while BetHash's tokens can be bought on NewDex, they are free for the dApp's users. A vast portion of dApp users are acquainted to a specific blockchain’s ecosystem; some drift towards Ethereum, others towards EOS, STEEM, or Tron. BetHash's success comes from its ability to pioneer a single gaming hub that can support players who like different blockchains—EOS, Ethereum, and Bitcoin, with more integrations on the way. Due to lack of awareness of dApp tokens, dividends of some dApps are worth more than their tokens! 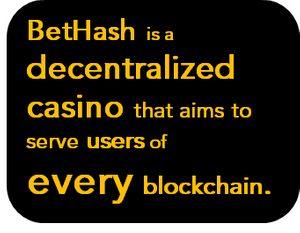 BetHash is the first of its kind development that utilizes a provably fair smart contract in a decentralized casino that supports transactions in Bitcoin, EOS, EOS tokens, Ethereum, and ERC-20 tokens. Beyond that, the casino’s players, over time, become the owners as the house edge will be paid back to token holders. Also, the tokens are given for free to players; today, Crypto valued at over $5,000 will be distributed to token holders—that’s just 1 day. BetHash is the evolution of EOSHash, which was a novel, decentralized lottery system with a new lottery issued every minute. The founding team has recreated the casino to support a list of coins and tokens that is constantly growing. Not only does BetHash support its founding lottery game, it also integrates the ever-popular EOS Dice game, with new additions of Baccarat, Jacks or Better, Blackjack, and Slots on the way. BetHash runs on the transaction hashes of the EOS blockchain, the prime reason being the high frequency at which EOS hashes are generated. 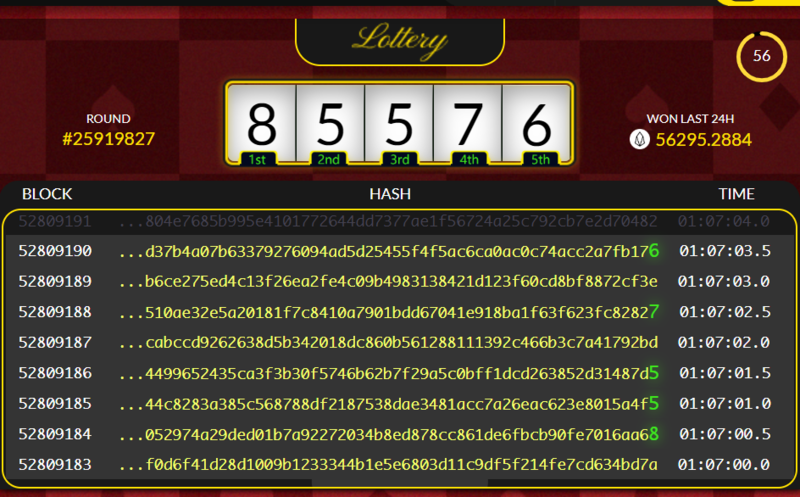 While a typical casino utilizes a random number generator stored on its own server, BetHash utilizes the random numbers in the EOS hash to predict winning numbers. Thus, the random number generator of BetHash is publicly visible and decentralized, thereby making it provably fair. 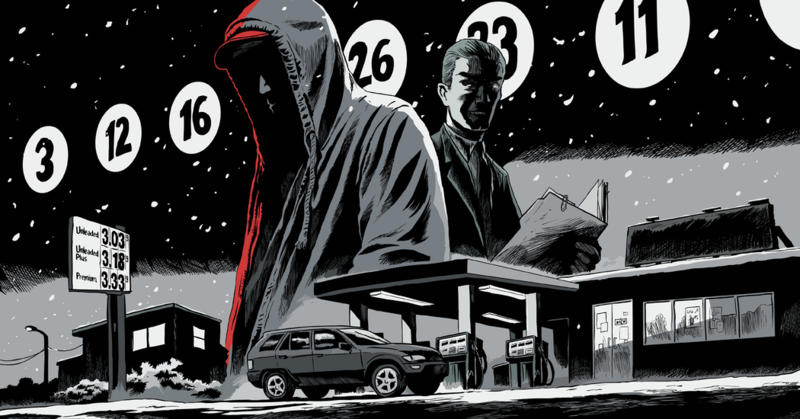 BetHash’s original game: the lottery. BetHash has designed a lottery that runs every 60 seconds. At the start of every minute, a new lottery commences and anyone who has access to a wide range of cryptocurrencies can enter the draw. 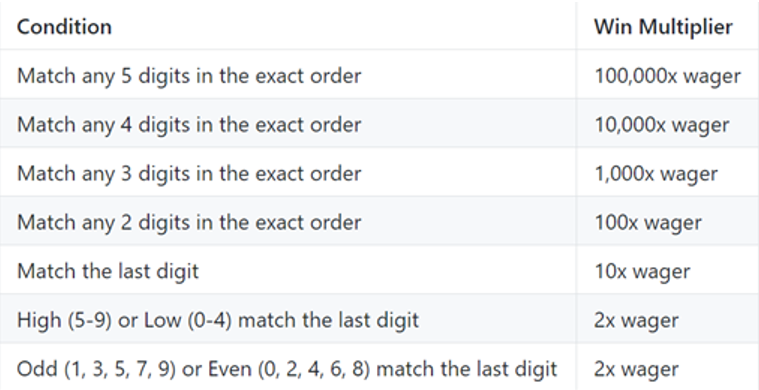 At the end of the minute, the first 5 EOS block hash that end with a numeric character decide the winning numbers. The classic yet consistently popular Dice Game. BetHash uses the EOS transaction hashes even for the Dice Game, and this ensures the protocol remains provably fair. The Dice Game and its results are straight-forward. A player chooses a number which he/she must roll less than. For example, if a player chooses 50, to win, he/she must roll less than 50. The number that the dice will roll is derived from the 2 last numbers (double digit) in the EOS hash that was generated at the time of the roll. For example, if a player bet to roll less than 50 on block number 52144872, he would win as the last 2 numbers in the hash were 3 & 4; collectively 34. Since 34 is less than 50, the player would have won the bet as the bet had been to roll less than 50. EOS users can use Scatter to connect with BetHash, but BetHash is open to everyone. In order to support more than just EOS and EOS tokens, the platform utilizes a unique system that is friendly to the everyday player. Rather than requiring users to download Scatter (the MetaMask of EOS) and then create an EOS account, users are given the option to create an e-mail enabled account on the platform. Once they deposit the equivalent of $2 in any Crypto, BetHash synchronizes an EOS account with the user’s e-mail enabled profile. Thus, while the account is able to function on a blockchain, it doesn’t need the average Joes to learn anything about seeds and wallets. Instead, they can just sign up with their e-mail and transfer funds from a fiat exchange like Coinbase, and then they are part of the blockchain-enabled provably fair casino, without ever having to deal with any of the intricate UIs that are a part of the typical dApp. This factor also enables BetHash to allow users beyond the EOS ecosystem to join the casino. People who prefer to use Ethereum and Bitcoin, or simply just don’t own any EOS, needn’t download Scatter and create an EOS account. They too can simply create an e-mail-based account and then deposit ETH or BTC on to their dedicated BetHash wallet. They can immediately start playing. A free EOS account will be automatically synched with their account, but users needn’t do anything with it. 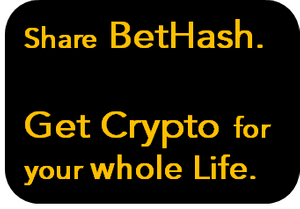 As stated earlier, BetHash distributes the vast portion of its revenue to token holders and thousands of dollars in Crypto are given for free to the community, daily. Each time a player bets the equivalent of 10 USDT in any Crypto or token, he/she is given HPOINTs for free. HPOINTs can be used to for various purposes, including purchasing HASH tokens; HASH tokens are staked to get platform dividends. Simply by playing on the platform, every user is rewarded with loyalty points called HPOINTs. These loyalty points can be used to make bets, participate in a decentralized jackpot, or buy HASH tokens. The number of HASH tokens is limited; thus, the platform makes a natural Crypto loyalty reward for its early users/supporters. The HASH tokens will drive a passive Crypto income for as long as the platform lives. Players referred by VIP users earn higher house edges rebates; the higher the VIP status, the higher the rebates. As VIP status rises, players earn up to 10% more HPOINTs. As VIP status rises, players earn up to 12% of the house edge generated by referrals. Moreover, players who reach VIP tier 5 are able to export their free EOS account private key, but they will still never have to worry about staking RAM or CPU for the account as that had already been staked, for you, by BetHash. BetHash has launched a bounty for 500,000 HPOINTs. Presently, approximately 8 HPOINTs convert to a HASH token and therefore the bounty equates to 62,500 HASH tokens at present conversion. 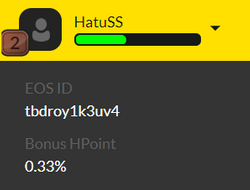 HASH tokens have a market price of roughly 0.05 EOS each. To get a share of all this money, all you have to do is share the project on social media, write about it, or talk about it on Bitcointalk. A unique thing about this bounty is that HASH tokens can be staked for a continuous passive income. Unlike any other airdrop or bounty campaign, the rewards of this campaign provide a lasting source of income. First 20 users to complete the following 2 steps get 1 STEEM for free. That's all! After that, I'll use @tipu to send 1 STEEM straight to your wallet.